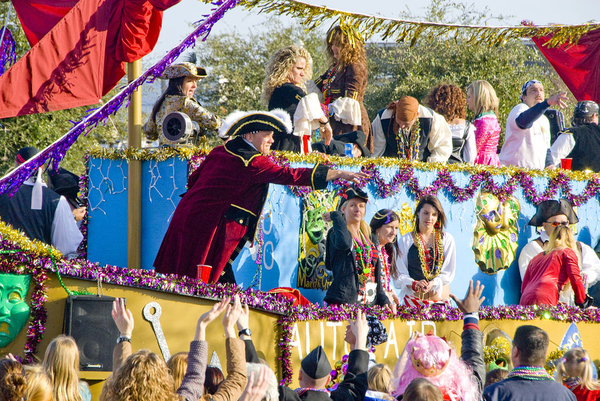 Parade seating on St Charles Avenue features the best views with easy access to restrooms, drinks, and food. NEW ORLEANS, LA, October 01, 2017 /24-7PressRelease/ — Mardi Gras 2018 is on its way, and the best parade views in the city are now available to reserve online with Mardi Gras Parade Tickets. See the fabulous floats, dancers, marching bands and maskers up close on the parade route from the comfort of grandstand seating. Mardi Gras Parade Tickets offers a variety of viewing options on St. Charles Ave near Lafayette Square. Tickets start at just $5 and are currently available for all parades beginning with the Krewes of Oshun and Cleopatra on Friday, February 2, through Mardi Gras Day Tuesday, February 13, 2018. VIP Tent Access offering private restrooms and seating is also available for all parades, but with limited availability. Founded in 2010, Mardi Gras Parade Tickets is owned and operated by Mardi Gras Hospitality, LLC, a partnership of Valentino Hospitality Enterprises and New Orleans Convention Company.